GARDAÍ IN DUBLIN are appealing for information about a potential hit and run early this morning. 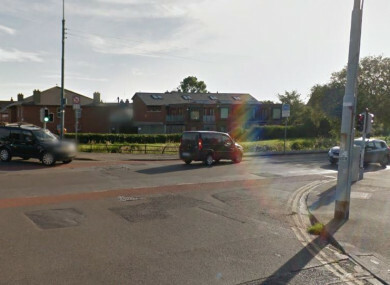 A 24-year-old man was found lying on the road near the intersection of Parnell Road and Clogher Road in Dublin 12 at approximately 5.55am. Investigating gardaí believe he may have been struck by a vehicle that failed to stop at the scene. The injured man was removed to St James’s Hospital with serious head injuries. It’s understood that the man had made his way from Camden Street at about 4.30am towards Portobello, Harrington Street, South Circular Road, Harold’s Cross Bridge, Parnell Road and Clogher Road. A garda technical team has examined the scene. Gardaí have appealed for anyone with information or drivers with relevant dash cam footage to contact Sundrive Road Garda Station on 01 666 6600, the Garda Confidential Line on 1800-666 -111 or any garda station. Email “Man seriously injured in potential hit and run in Dublin”. Feedback on “Man seriously injured in potential hit and run in Dublin”.